The International Marine Contractor’s (IMCA) Technical Manager, Mark Ford, has been unanimously endorsed by the International Association of Classification Societies (IACS) to become a member of the IACS Advisory Committee (AVC). He will be supporting the International Association of Classification Societies’ Quality System Certification Scheme. 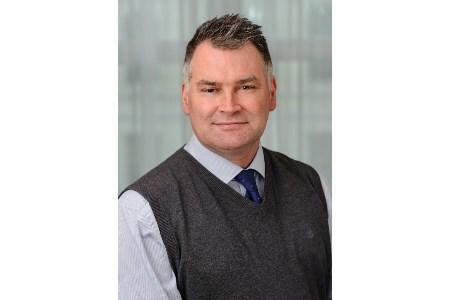 Mark Ford joined the IMCA Secretariat in 2012 from Charles Taylor Consulting, where he worked as a senior surveyor and divisional director in the safety and loss prevention department. His work involved carrying out ship condition surveys prior to and during entry into P&I insurance cover, writing various technical and safety articles for the safety and loss department publications. Before coming ashore, Mark Ford worked for over 25 years as a marine engineer on bulk carriers and diving support vessels, ultimately rising to the rank of chief engineer. He has worked as an engineer superintendent for a product tanker company which involved dry dockings, general repairs and the daily running of the fleet and also as a consultant marine engineer, specialising in FMEAs, exhaust gas emission studies, vessel lay-up studies and retro-fit specifications.